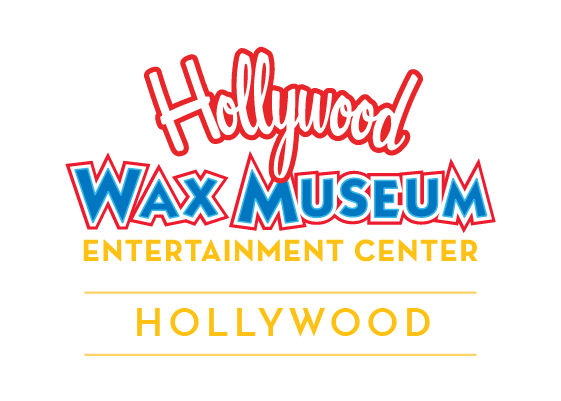 One of the most often asked questions at Hollywood Wax Museum is about how we do it. How can we take wax and turn it into something that looks so lifelike? It’s not easy! It takes over three months and seven talented artists collaborating to create just one wax museum figure. Here’s how we do it. Step 1: Create a Clay Sculpture – Armed with photographs, actual measurements and scanned images, the sculptor transforms a common lump of clay into a perfect likeness that captures the look and feel of life. From unique facial expressions to minute details such as tiny moles or wrinkles, the clay head and face are created in perfect proportion. Step 2: Making a Mold – Our fabricator forms an algenate mold from the clay sculpture. Then, he carefully pours a molten mixture of natural and petroleum-based wax inside. The wax is swirled, layer upon layer, until the mold is evenly coated with a two-inch thickness of wax. The mixture is left to thoroughly harden before the mold encasing the head is opened to reveal a rough waxen image. Step 3: Whittling the Wax – Using specially designed instruments fashioned after surgical tools, the wax artist removes excess wax from the nostrils, ears and mouth. He then makes intricate refinements by delicately etching the wax for days. First, an authentic facial expression is created with the appropriate wrinkles, fine lines and unique markings in each forehead and face. The masterpiece is completed by carving the detailed features of the eyes, ears, nose and lips. Step 4: Bringing the Wax to Life – First, the craftsman mixes colored wax and oil paint to create an exact skin tone match. He gently applies the color like make-up, adding details such as freckles, birthmarks and age marks. Next, hair is inserted with a special needle, one strand at a time, including eyebrows, lashes and facial hair. Finally, medical glass eyes and porcelain teeth are added to duplicate the person’s actual characteristics. Step 5: Handling Hands & Other Parts – The wax artist creates hands using the same sculpting, molding, carving and painting techniques as crafting the head. But, there is an added challenge of matching the person’s stance and hand gestures. Right down to each vein, knuckle and fingernail, our team matches the person’s skin tone, paints the distinctive markings and inserts hairs with a tiny needle. Step 6: Crafting the Costume – The tailor places linen over the figure’s body and creates a pattern for each piece of clothing. With the goal of complete authenticity in mind, the costumer locates fabrics and decorative materials (metal studs, buckles, beads, and sequins) to hand-make each item, including coats, dresses, boots, headdresses, belts, capes, chaps, bathing suits and more. Cleverly concealed Velcro closings are sewn in to help the costumer dress the figure. Step 7: Prepping the Props – Matching the look and placement of every accessory is top priority for the prop master. Prop houses, vintage stores, auctions and the studios are resources for items such as military medals, crests, distinctive buttons and logos. Often our prop master borrows an original sword, pair of sunglasses or other props from the studio. He makes a mold and finishes the piece exactly as it appeared on screen. As you can see, it’s a laborious process, but the final results are well worth the effort. If you’re headed to Hollywood soon, come check out our labor of love! Purchase tickets in advance. We look forward to sharing our little slice of Hollywood with you!